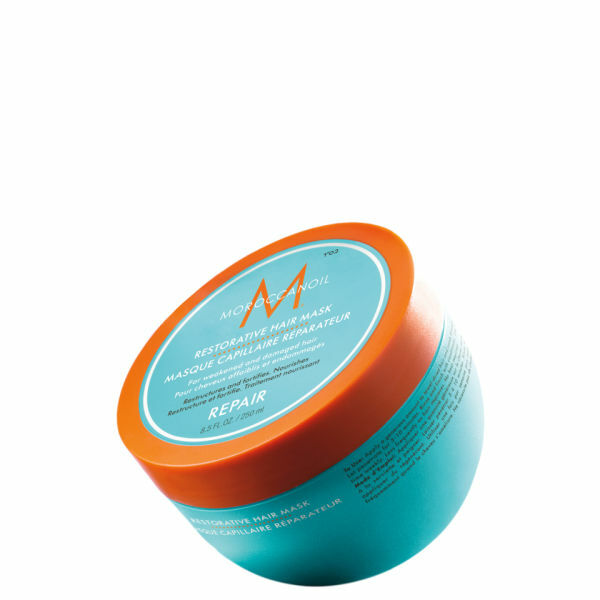 Treat tired and dull hair to intense nourishment with the Moroccanoil Restorative Hair Mask. The high performance formula repairs hair that has been damaged or weakened by environmental factors, colouring and heat styling. Fortifying proteins and rich argan oil combine to infuse the hair with vital hydration and strength, making your hair soft, smooth and easy to manage. It works in just 5-7 minutes, so it's perfect for men with busy lifestyles. Canola Oil: Easily absorbed fatty acids for all hair types. Shea Butter: A natural moisturiser that is vitamin-rich and benefits fine hair and dry scalps.